PWA transforms your store to perform like app, respond quickly and smoothly. 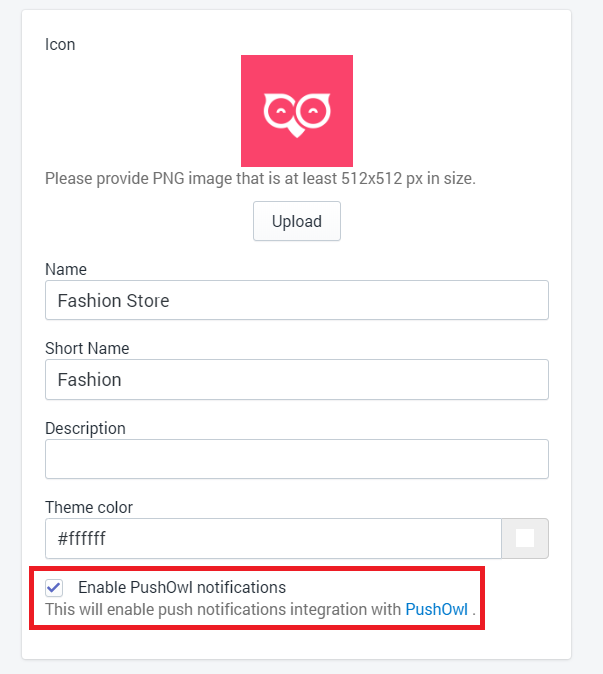 With this integration between PWA and PushOwl, you can ensure that customers who install your store's web app receive your promotions. Through your PWA, your push notifications will receive more visibility. Progressive Web App make your store more reliable, engaging and fast by hosting your store outside of the browser. PWA by Ampify Me transforms your web store into an app, making it look and feel more like an app. Learn more about Progressive Web Apps. Install PushOwl from the App Store. 2. Install PWA by Ampify Me from the Shopify App Store. 3. You will be taken to the tiers offered by PWA. 4. Select the tier you want and complete payment. 5. 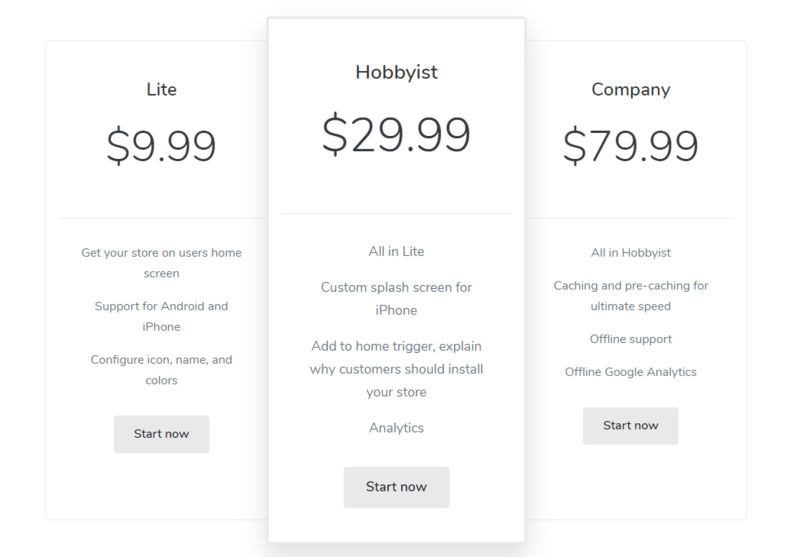 Click on Progressify Me from the Apps page on your Shopify dashboard. 6. Click on Configure on the Progressify Me dashboard. 7. Click on the box next to 'Enable Push Notifications'.